Best known for her work as vocalist for the hit TV series, “McLeod’s Daughters”, Bec’s voice was the true heart and soul of the soundtrack albums selling in excess of 250,000 copies. The series was screened in over 110 countries around the globe. Savage Garden's Daniel Jones became a fan and begged to work with Bec. She granted him his wish and he commenced work as producer of her 2007 debut, “Intimate Portrait”. The album cemented Bec’s status in Europe as one of Australia’s hottest musical exports. In late 2009, she released the album “Love & Bravery” and followed with "Kehr Wieder" in 2016. In November 2018 she released the Christmas duet with Ben Ransom of the Sheryl Crow penned song, "There Is A Star That Shines Tonight". Bec has just returned permanently to Australia armed with a bag of brand new songs and national tour dates. 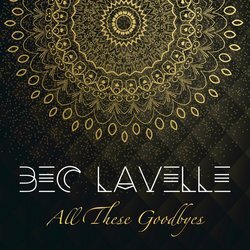 "All These Goodbyes" is the follow up to the acclaimed, "Keeping You Up". It's the second release in a series of new single releases slated for 2019. Bec is an Adult contemporary singer songwriter with influences from many other genres such as country, pop and acoustic. The track was recorded in Germany and mixed in Brazil.